This gorgeous, golden decoration brooch from GateNoir by GreenGate won’t only look pretty on your blazer or jacket, but could also be used as a decorative piece on your pillow arrangement. 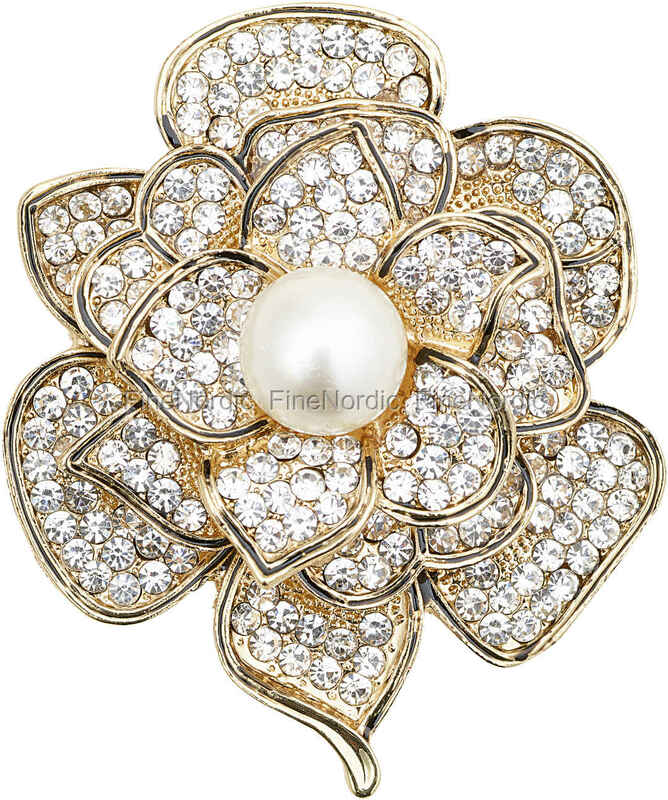 The brooch is in the shape of a flower and in a very pretty gold colour. Each rose petal has small, shiny rhinestones on it, making it truly stand out. Use the brooch as an accessory to complete your outfit or place it on a pillow or blanket to add some extra attention to it.